A large list of newly Chromecast-enabled games are available on Google Play, just in time for the holiday season, where you will likely be spending time with family and friends. 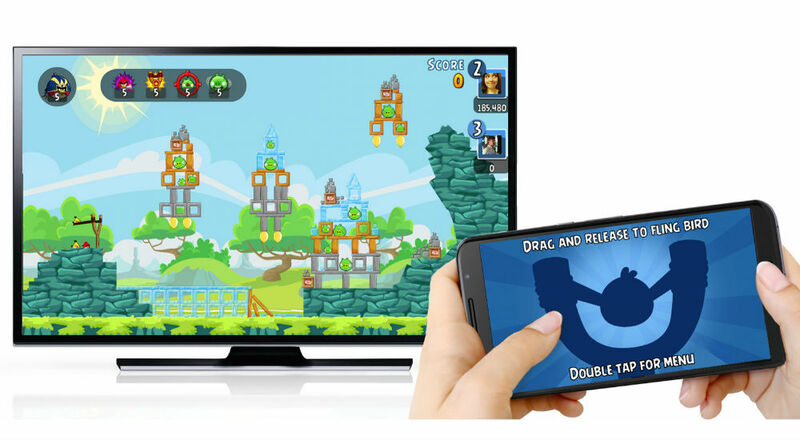 Being “enabled” for Chromecast means a game can be casted to your HDTV via the HDMI dongle, with smartphones acting as your game controllers. Games now supported for this functionality are Yahtzee, Angry Birds, Monopoly, Scrabble, and plenty more. As an example, Monopoly Here & Now allows multiple players to connect via their smartphone to the game board, which is displayed on the big screen TV. Players interact with the game and make all of their moves via the smartphone, meaning no more Monopoly money and game pieces to pick up after the game comes to a conclusion after 6 hours of playing with grandma, who for some reason refuses to sell B&O Railroad. Let it go, grandma, for the love of Jesus. For young fans of Angry Birds, they can start blasting into Piggy towers using the smartphone as the launchpad, bringing a more interactive and fun experience to the game. All of the latest apps and games for Chromecast can be found by following the Google Play link below.